If you’ve read or even heard of Richard Louv’s Last Child in the Woods: Saving Our Children From Nature-Deficit Disorder, then you are probably aware that kids today have dramatically less time outdoors than they used to. Why is this an issue? Having less time outdoors — what Louv dubs “Nature Deficit Disorder” — contributes to a number of problems, from decreased imagination to reduced connection with the natural world. This isn’t just a problem for individuals. When we as a society raise generation after generation of children — tender saplings if you will — who are less and less in touch with nature, our society will have successively less interest in preserving the environment. And this potentially, and arguably, can have cataclysmic effects. * Children are spending half as much time outdoors as they did 20 years ago. * Today, kids 8-18 years old devote an average of 7 hours and 38 minutes using entertainment media in a typical day (more than 53 hours a week). * In a typical week, only 6% of children ages 9-13 play outside on their own. Our middle tender sapling playing at the base of White Oak Canyon’s Lower Falls. * Children who play outside are more physically active, more creative in their play, less aggressive and show better concentration. * Sixty minutes of daily unstructured free play is essential to children’s physical and mental health. * The most direct route to caring for the environment as an adult is participating in “wild nature activities” before the age of 11. We highly recommend the National Wildlife Federation as a great source of environmental education for the whole family. Our kids have loved their magazines Animal Baby (ages 2-4), Big Backyard (ages 4-7), and Ranger Rick (ages 7-14), and they have tons of resources on their website. One of their programs, the Green Hour, advocates for families to provide kids with at least an hour a day of unstructured time outdoors. A friend of ours, Todd Christopher, was one of the founders of the program and wrote The Green Hour: A Daily Dose of Nature for Happier, Healthier, Smarter Kids. The book is a terrific resource and we highly recommend it. Todd, who has a wonderful way with words, also occasionally posts on his blog here. We couldn’t agree more that one of the greatest gifts we can give our kids is an abundance of outdoor time and play. 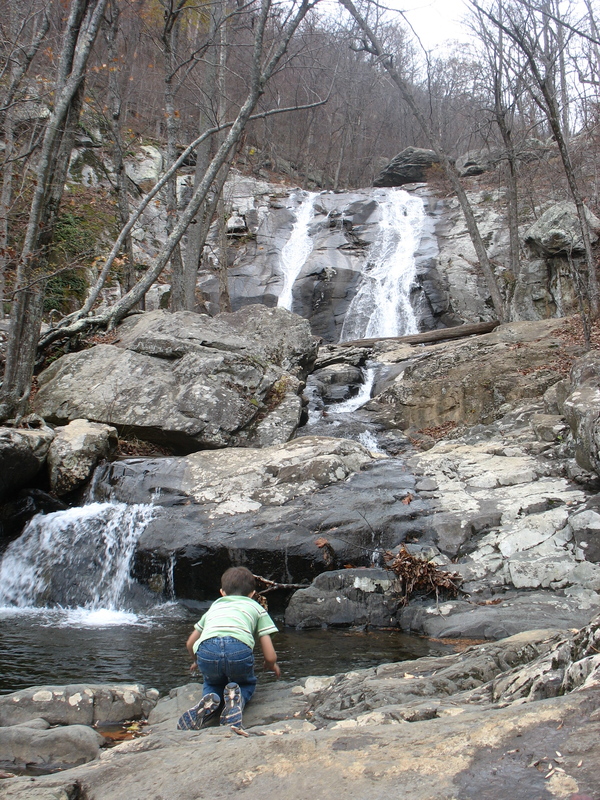 Living in a small city in the foothills of the Blue Ridge Mountains, we are lucky to have a back yard and to live in a neighborhood with wooded walking trails and streams the kids can explore. We also love spending ample time at nearby forested parks and hiking trails. Even so, it’s not easy to fit in all that outdoor time when balancing the demands of modern life. It takes effort and conscious prioritizing that over other things. But every time we do, it’s rewarding for all of us. It’s always a relief and nourishing to the soul to drink in blue sky and green trees, especially as an antidote to screen time. This topic also leads into many related issues and questions, and we’ll explore some of these tangents more in depth in upcoming posts. Do your kids like the NWF magazines? Have you seen the Green Hour book? How do you “structure in” unstructured outdoor time for your kids? Categories: Have Fun, Sustainability | Tags: Green Hour, Last Child in the Woods, National Wildlife Federation, Nature-Deficit Disorder, outside playtime for children, Richard Louv | Permalink.